Five sailors from Russia and Ukraine have being released by militants in Nigeria's oil-producing Niger Delta region, according to reports. 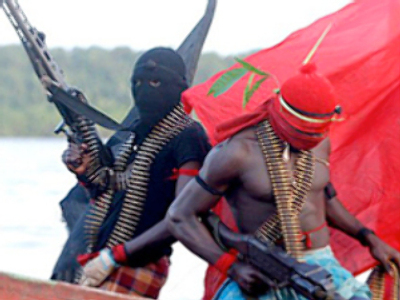 The crewmen were abducted by gunmen who boarded the Swedish tugboat on Thursday. “The demands of the hostage takers and the location at which they are being held are not known,” the ministry said. However, according to the Russian shipping news website, Maritime Sovfracht Bulletin, the ship's owner, Sweden's Marine Carrier AB, said the militants were holding four Russians and one Pole. Citing local reports, the Maritime Sovfracht Bulletin said that the militants took control of the vessel and steered it toward Sombereiro River, 15 miles west of the Bonny River. The militants at first freed just seven of those on board keeping five hostages. The crew members were reportedly robbed of their possessions.